A guide on where to find the Confluence and how to enter the Shattered Throne in Destiny 2: Forsaken. In Destiny 2: Forsaken, players have been wanting to know how to enter the Shattered Throne. 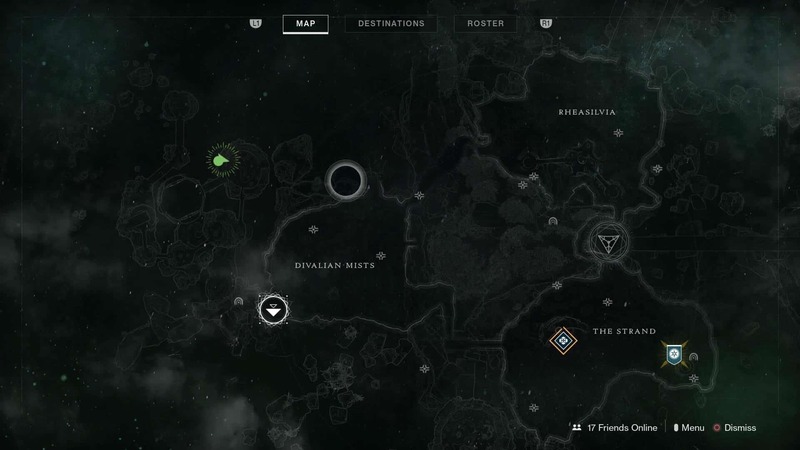 To reach the Shattered Throne, you’ll first need to track down the Confluence where the Ascendant portal is housed. This portal can be used to access the Shattered Throne, though only when the curse is at its strongest. Confused? We’ve got you covered! Below, we’ll walk you through how to enter the Shattered Throne in Destiny 2: Forsaken! To enter the Shattered Throne, you'll need to find the Ascendant portal located in the Confluence in Destiny 2: Forsaken. In Destiny 2: Forsaken, the entrance to the Shattered Throne can be found in the Confluence (a series of tunnels that run under the Dreaming City). In the Confluence, there’s a central chamber where a large Ascendant portal can be found, but only when the curse is at its strongest. Without the curse present, the Ascendant portal will not be available, and the chamber will appear empty. To locate the Confluence and use the Ascendant portal to enter the Shattered Throne, you’ll want to start at the Divalian Mists fast travel point. There, simply follow the canyon and then head left through the blue crystal cave. You’ll eventually come across the Spine of Keres, which may be familiar as this spot is also where the Oracle resides. Here, you’ll want to jump over the gaps until you reach the first arena. Rather than head straight towards the Oracle, though, you need to make a left and follow the wall which leads to a bridge. Instead of crossing this bridge, jump down in the area off to the right side. In doing so, you’ll land on a small path. Follow this path, and you’ll come across a cave. In this cave, there’s a Taken portal you can use to enter the Confluence. Use the Ascendant portal in the Confluence to enter the Shattered Throne in Destiny 2: Forsaken. Next, proceed forward through the winding hallways into the central chamber of the Confluence. As stated above, this chamber of the Confluence houses an Ascendant portal which can be used to enter the Shattered Throne as long as the curse is at its peak. 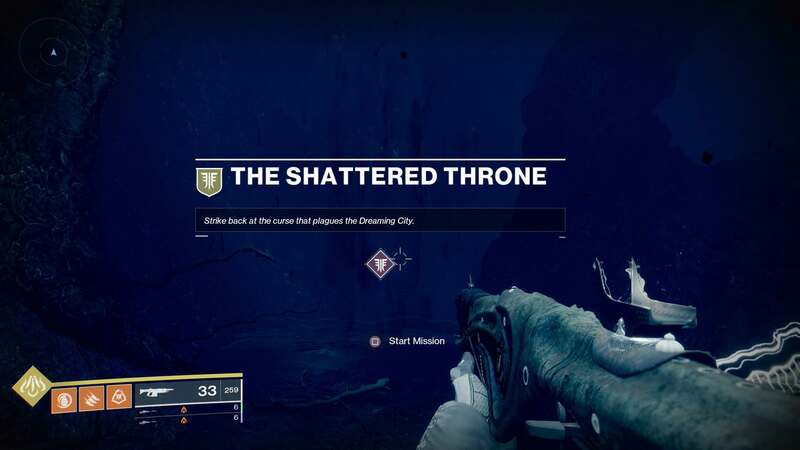 For a visual guide, be sure to check out the video on how to enter the Shattered Throne in Destiny 2: Forsaken courtesy of YouTuber KackisHD. For more on Destiny 2: Forsaken, be sure to check out some of our previous guides including where to find Toland in Destiny 2: Forsaken, how to get a Charge of Light in Destiny 2: Forsaken, and how to get Prime Engrams in Destiny 2: Forsaken. By reading through this guide, you should now know how to enter the Shattered Throne in Destiny 2: Forsaken.